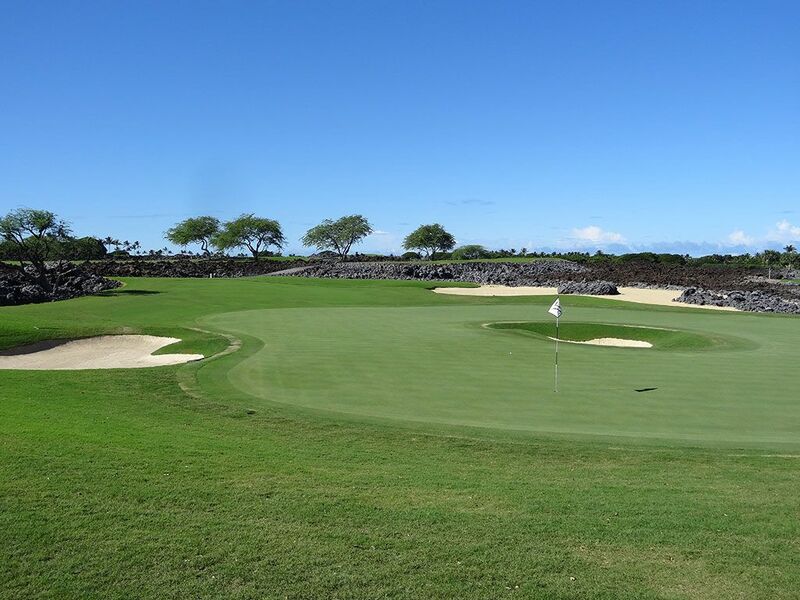 Course Website: Official Website - Visit Hualalai Golf Club (Nicklaus)'s official website by clicking on the link provided. 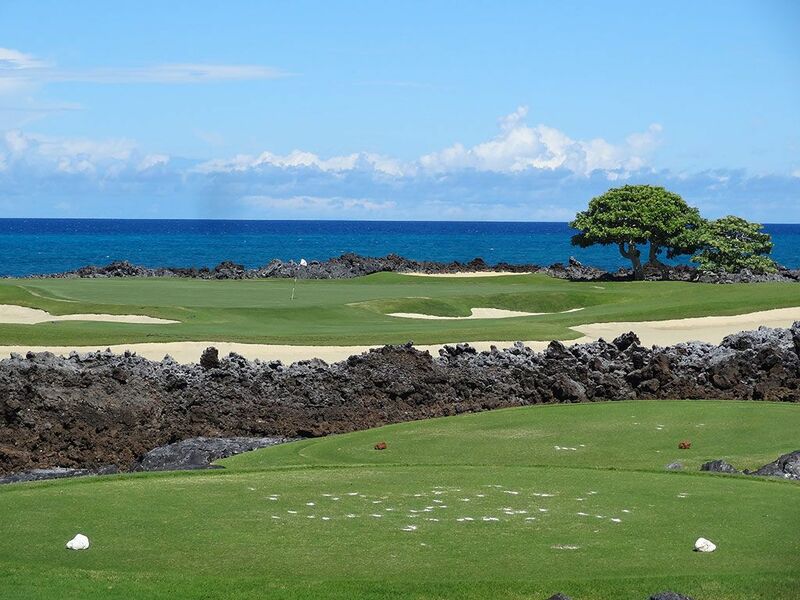 Accolades: Ranked 12th in Hawaii on Golf Course Gurus' Best in State list. 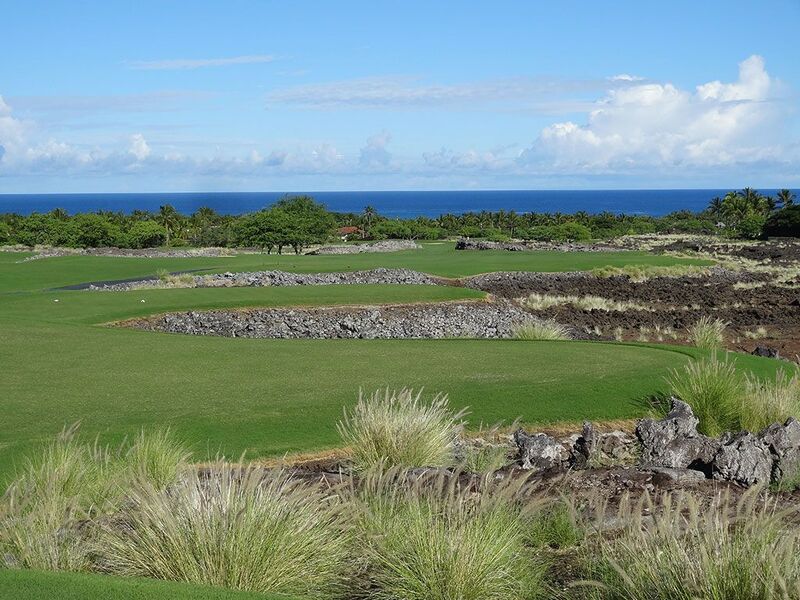 What to Expect: Hualalai sports 36 holes of golf for patrons to enjoy with the Nicklaus 18 available to resort guests and the Weiskopf course reserved for members. 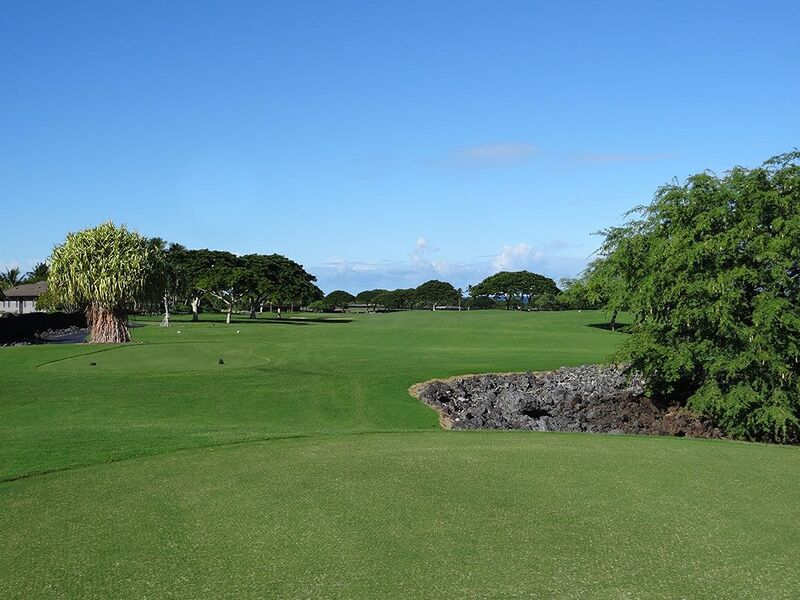 The front nine of the Nicklaus course enjoys impressive mountain views and plays through a variety of lava rock features as well as over a pond on one of the par threes. 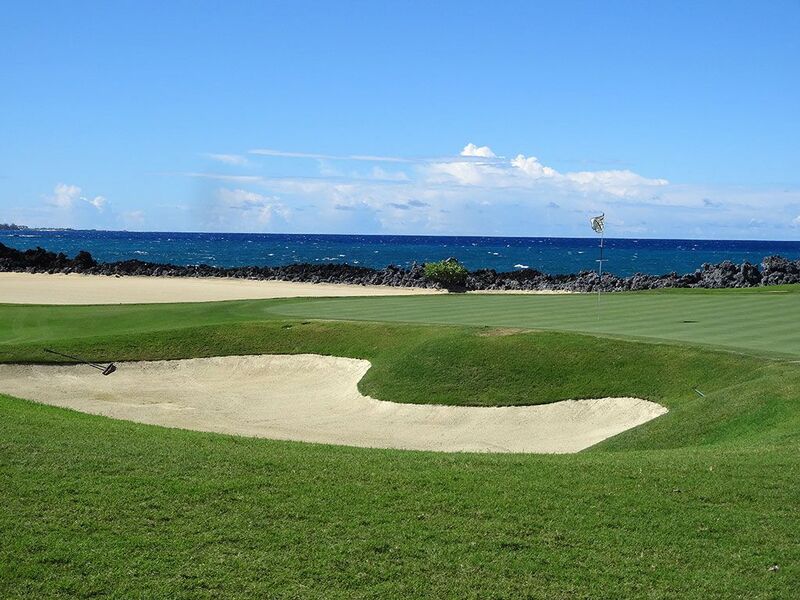 As you grab your complimentary homemade cookie at the turn, you'll find that the back nine enjoys some unique design features, including a bunker in the middle of a green on a par three, before it works its way to the ocean where the final trio of holes brings the round to a climatic finish. The course is laid out over gently sloping terrain which provides relatively mild elevation changes that are quite manageable to handle if you decide to walk. Conditioning is exceptional throughout the course and the practice range provides a nice facility to work on your game or warm up before your round. 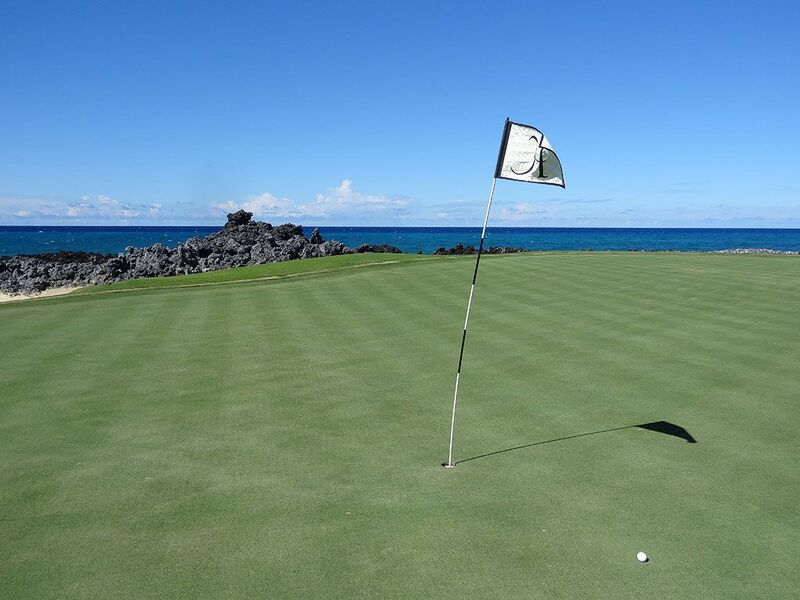 Your green fee covers golf for the entire day so if you feel like knocking out more than 18 holes, Hualalai is the place to do it. 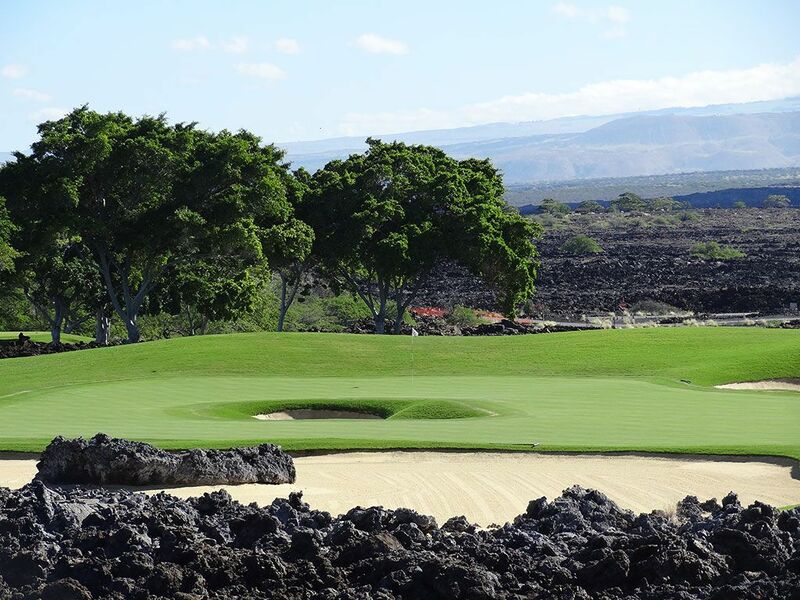 Signature Hole: 17th Hole – 164 Yard Par 3 – If you see any marketing photos or information about the Nicklaus course at Hualalai, chances are you are going to get a glimpse of the 17th hole. 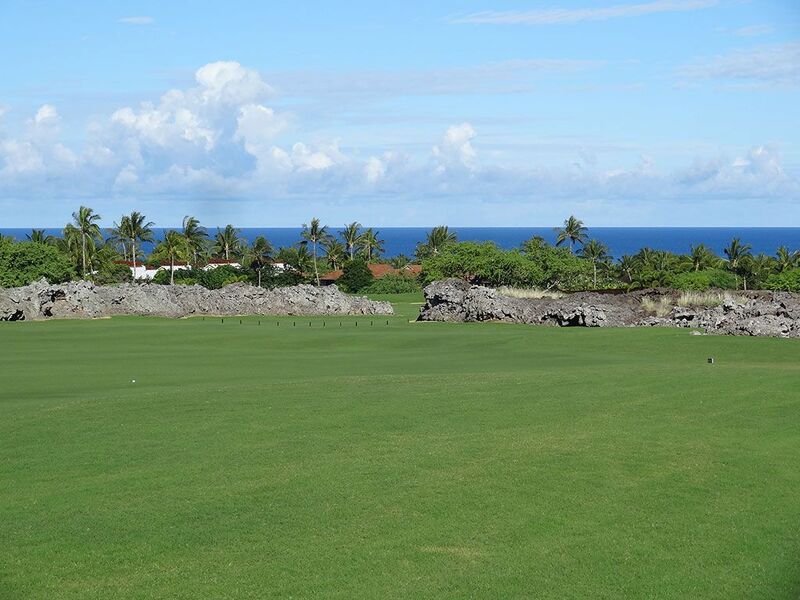 This beautiful par three plays right toward the ocean and provides an inspiring backdrop. 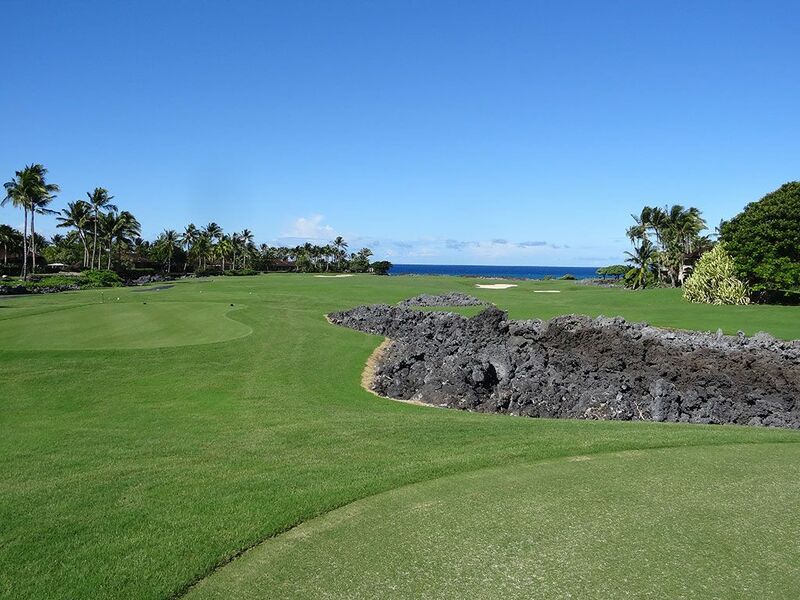 Lava rock and white sand bunkers surround the hole to add challenge and visual appeal. While the length is not intimidating, the strong ocean winds that can be present certainly pose a threat to hitting this green in regulation. If you didn't bring your camera to Hualalai, this is the moment you will regret it. 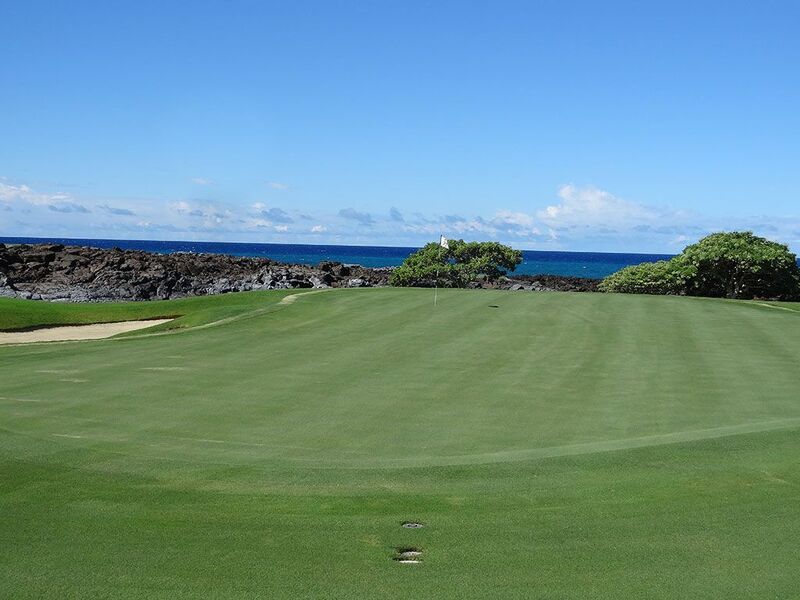 Best Par 3: 12th Hole – 167 Yards – With a feature that is rarely designed but is most famously found at Riviera's 6th hole, the 12th hole at Hualalai boasts a bunker smack dab in the middle of the green. If the pin is in the back center and your tee shot finishes in the middle of the front third of the green, you have no chance of putting your second shot close unless you plan on using a wedge. The distance of the hole is short enough that you should be able to hit a high lofted shot to wherever the pin is and avoid the bunker, but if you don't catch your shot just right you could be left in a very precarious situation; especially if the marshall is around. Best Par 4: 16th Hole – 440 Yards – Like many oceanside courses, Hualalai saves the holes closest to the water for the end of the round. 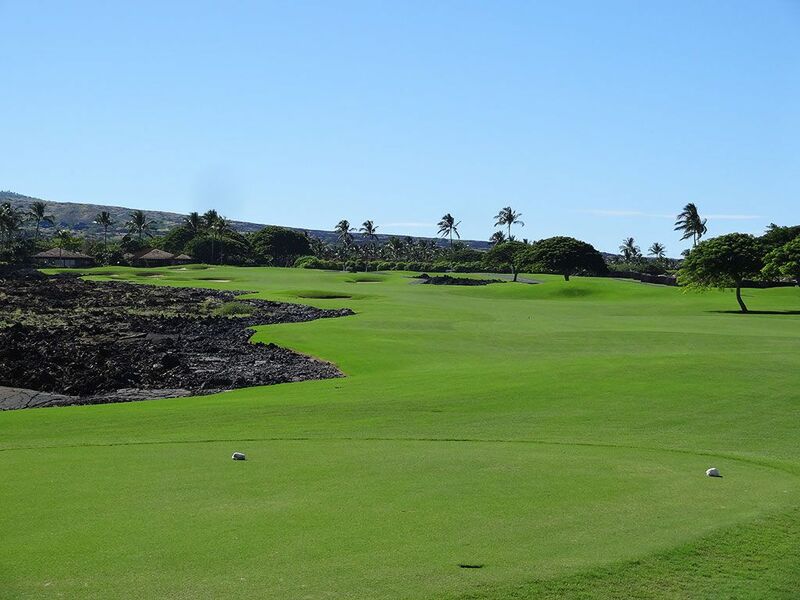 This slight dogleg right plays toward earth's largest water hazard and often plays longer than the yardage due to the prevailing ocean wind in your face. The green slopes up in the back almost like a rising wave which compliments the rolling waves in the background. 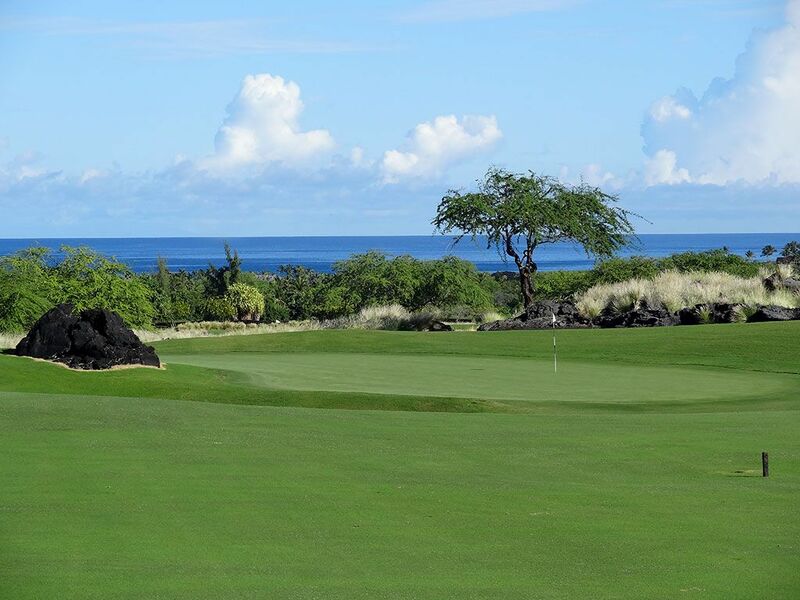 Best Par 5: 7th Hole – 556 Yards – Nicklaus didn't shy away from featuring the lava rock that is so prevalent on Hawaii's Big Island. On this par five Nicklaus let the lava frame the edges of the fairway before pinching the middle of the fairway effectively creating a chute to fire your ball through on your way to the green. It is a unique feature that I enjoyed mainly because it was a natural resource that was utilized to make the feature rather than an out-of-place forced feature. 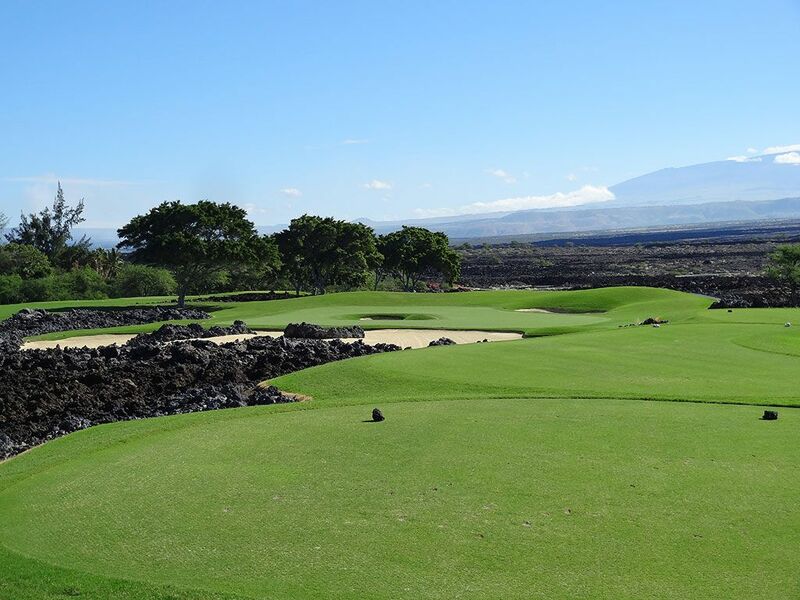 The hole plays downhill and is reachable in two which makes the long approach shot through the lava feature all the more enjoyable to take on. Birdie Time: 14th Hole – 519 Yard Par 5 – Long hitters should be licking their chops coming into a par five that is just 519 yards, even if it does steadily rise from tee to green. 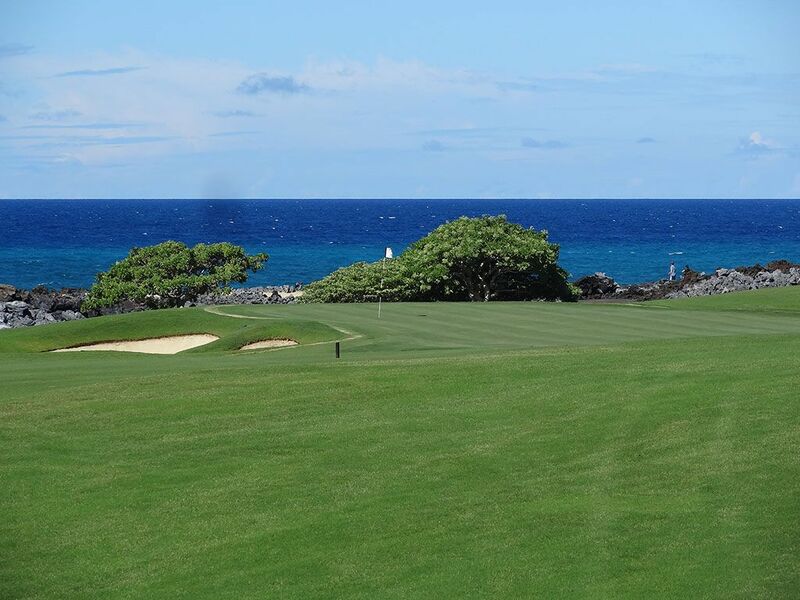 The wide fairway is inviting for those looking to swing away and the slight dogleg to the left allows players to take a bit off the yardage; especially with the prevailing wind coming off the ocean to your back. There is some bunkering on the hole but less trouble than many other holes on the course so this is a good opportunity to go take a stroke back from old man par. Bogey Beware: 9th Hole – 461 Yard Par 4 – The final hole on the front nine is an incredibly stout test that can often play into the wind. This long, straight hole narrows towards the green and makes the approach shot rather demanding. Greens in regulation here are a rarity with no way of shortening the hole and the wind often present to contend with.